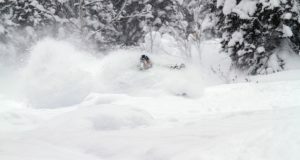 Julien was in Tahoe for work and had one day to experience the Tahoe backcountry. Through NASTC we enjoyed a fine ski tour of Castle Peak, Basin Peak, and Andesite Peak in January, 2017. 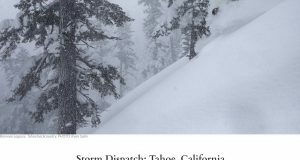 If you want to check out backcountry skiing in Tahoe, tune your ski touring skills, or just have a knowledgable guide on hand to show you some classic ski tours in the area, come ski with me and NASTC this winter. 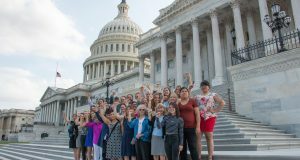 I’ve worked with NASTC for a few years now and love the passion and stoke directors Chris and Jenny Fellows offer to their guests. 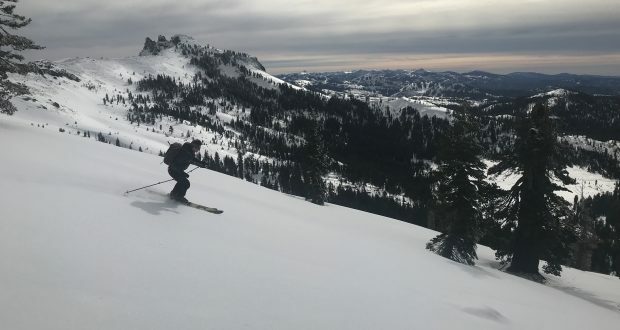 While guiding for NASTC I’ve had people who have never ski toured before, who were thrilled to learn how to skin, complete kick-turns, and efficiently transition from skinning to ski mode. I’ve also had visitors who were great backcountry skiers that simply needed a partner with local knowledge to share in a high quality backcountry ski day. NASTC offers private guiding, avalanche education, and incredible international ski trips. 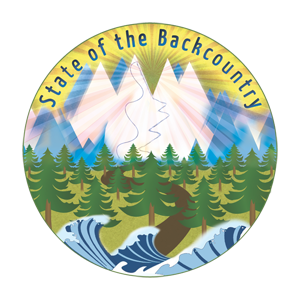 Give their site a look here, and be in touch if you have any questions, or wish to link up for some backcountry 101 in Tahoe.